The mission of the Cornell Lab of Ornithology is “to interpret and conserve the earth’s biological diversity through research, education, and citizen science focused on birds.” For an overview of Cornell Lab’s worldwide impact and contributions to conservation and education in the last year, please see our Annual Report. The U.S. Fish and Wildlife Service performs a national survey of U.S. residents 16 years old and older every five years about the impact of fishing, hunting, and wildlife-associated recreation. Bird watching is part of wildlife-associated recreation (observing, feeding, and photographing wildlife) and by far attracts the largest following of wildlife watching. For the economic impact of wildlife watching, see the 2016 USFWS Survey (starting on page 37). During 2016, 34 percent (86 million) of the US population 16 years and older participated in wildlife-watching activities. 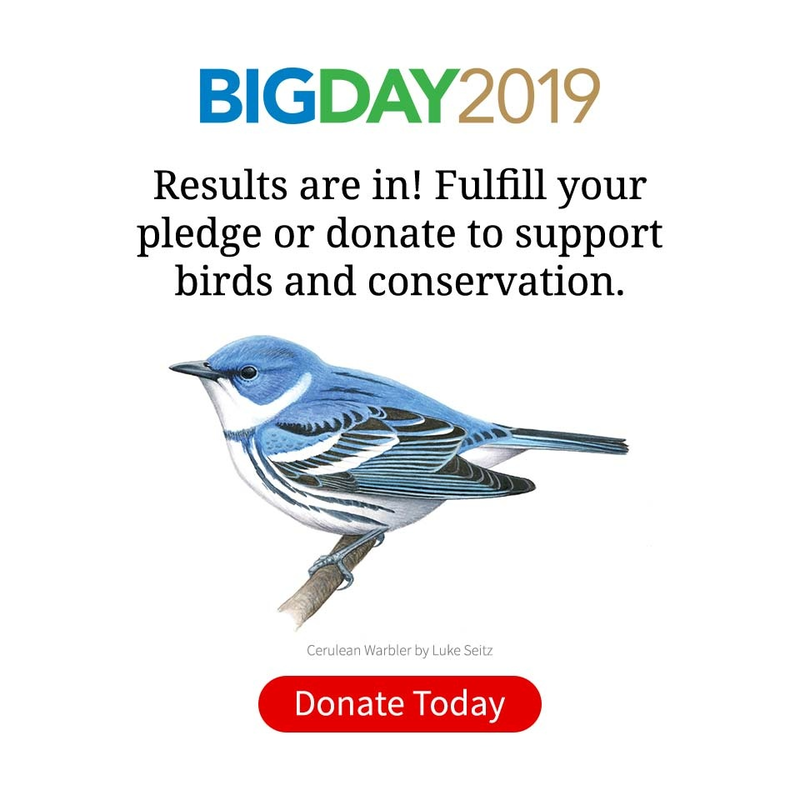 Banner ads are available on our All About Birds website, and print ads are available in our quarterly publication Living Bird magazine. The Cornell Lab of Ornithology offers online ads at its All About Birds website. Ad contracts are for a minimum of three months and paid quarterly. Advertisers can choose from a variety of standard packages, or we can prepare customized packages. In the last 12 months, there were 61 million page views and 15 million unique visitors to All About Birds. Ads can be rotated with other ads, or advertisers can take over ad slots based on the average number of monthly page views. Bird watchers tend to be an older demographic and highly educated. Our surveys show that they are not only bird enthusiasts, but also green advocates, health conscious, techie, and have active lifestyles. Birders enjoy travel, museums, federal/state refuges/parks, photography, movies, music, and dining out. Digital ads are available on 600 North American bird species profiles and on a variety of other pages such as on the home page, bird guide search by name/shape/taxonomy, live-streaming bird cams, bird ID skills, feeding birds, bird-friendly homes, FAQs, biology, news & features, videos, and Living Bird magazine. If you are promoting travel, tours, or events to specific North American locations, ads can be placed on bird species found in those destinations. Our web visitors can also be geo-targeted by their location—by city, county, state/province, and/or country. Festivals that place banner ads on All About Birds will also have their ads included on our Festival Listing page. This listing is free! If you want your event listed, please provide the following information to the advertising manager: dates, festival title, map location (city, state, or full address), brief description (about 100 words, e.g., keynotes, workshops, field trips), contact (telephone number, name, e-mail), and the festival’s URL. For a digital media kit, contact our advertising manager. Living Bird is an attractive full-color magazine, lavishly packed with spectacular full-color photographs. The magazine has an ever-widening readership among libraries, universities, and many other organizations. Advertising rates, publication dates, due dates, and ad specifications are provided as PDFs on the right side of this page under “Ad Rates and Specifications.” For a media kit, contact the advertising manager. Feature articles cover bird behavior, habitat, identification, research, conservation, travel, bird-finding, bird-watching, and bird photography/art. Columns/departments include News Briefs (urgent news in bird science and conservation, Spotlight (engagement with individuals and their stories), Science (new insights from recent research), Conservation (impacts and actions), Season Preview (geography, climate, and birds), Profiles (insights about a bird species or taxonomic family), Practical Tips (bird-watching skills, methods, and best practices), Reviews (books, products, apps, travel destinations), FAQs (answers to readers’ questions, and FreshPerspectives (infographic about birds). Living Bird is an excellent advertising resource for companies that want to reach the bird-watching market and some of the most enthusiastic and influential birders in the world. By advertising in the magazine, a company is associating itself with an organization held in high regard by the bird-watching community.